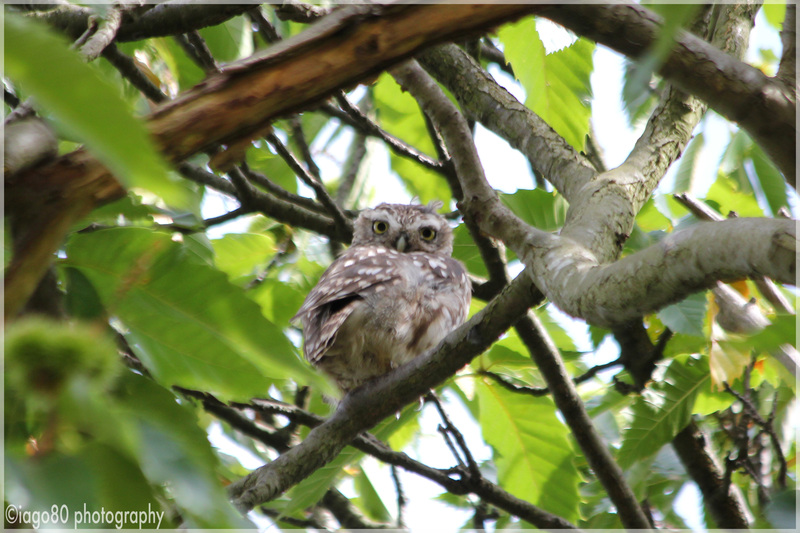 Last time I went birding in Kensington Gardens, I posted shots of Tawney owlets. This male perches in the same place, in the same tree almost every day through the summer (his mate is more secretive) in one of London’s busiest parks. Despite the millions of people who visit the park, I suspect a very, very small number of people ever see this bird other than those who know exactly where to look (thanks to Ralph’s blog). There are believed to be around 5,700 pairs in the UK, although this number is declining significantly. But there is unlikely ever to be a conservation effort to protect them as the Little Owl is (apparently – see my doubts below) an introduced species. First, the Ornithologist Thomas Powys was nine years old in 1842! It could have perhaps been his father (also Thomas Powys), but he was a politician, not an ornithologist. 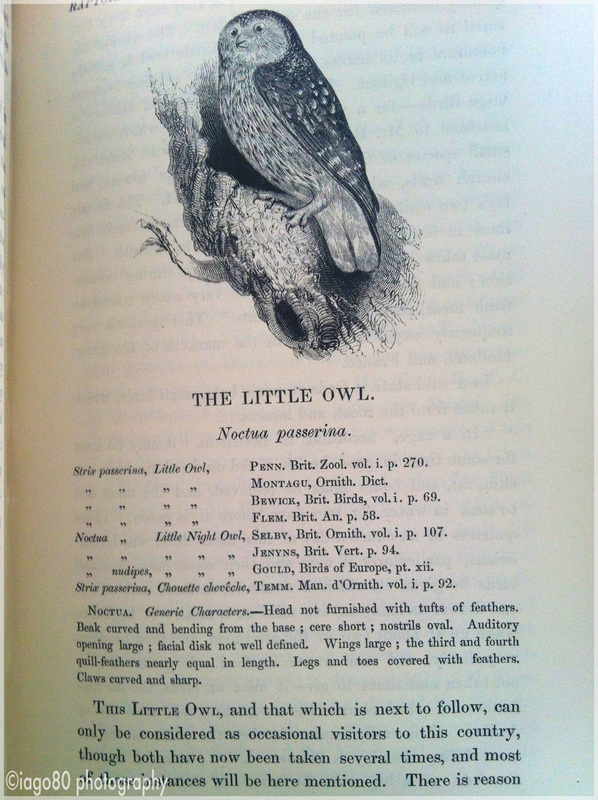 Yarrell also sources older books referencing the Little Owl visiting Britain and refers to instances of the bird being found in different locations – hard to believe occurring if the bird had first been introduced just three years earlier. Whilst it is perfectly possible that some Little Owls were introduced by man in the 19th Century, I put it to you that the Little Owl really introduced itself to this country. If my hypothesis is correct, then the Little Owl would be determined to be a natural species of our country and would be given a conservation status (rather like the Collared Dove which introduced itself here a few decades ago and is now common) and could be protected. This entry was posted in Bird watching, history, London, photography, wildlife and tagged A Big Year, birding, Birding in London, Birds of London, Conservation, Francesca Greenoak, history, Hyde Park, Hyde Park birds, Kensingtong Gardens birds, Little Owl, Owls, Owls in London, Patch birding, Yarrell on August 16, 2014 by iago80.